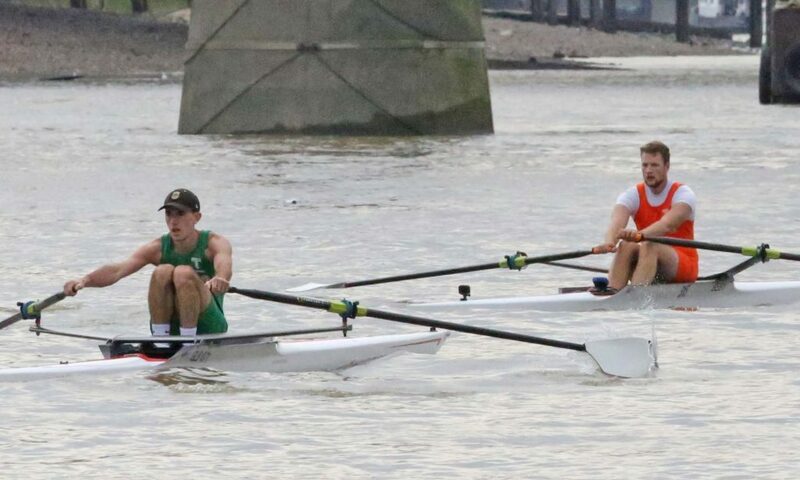 Just two scullers raced for the 304th Doggetts Wager this year, Alfie Anderson of Poplar, Blackwall and District ultimately proving victorious over George McCarthy of Globe RC. 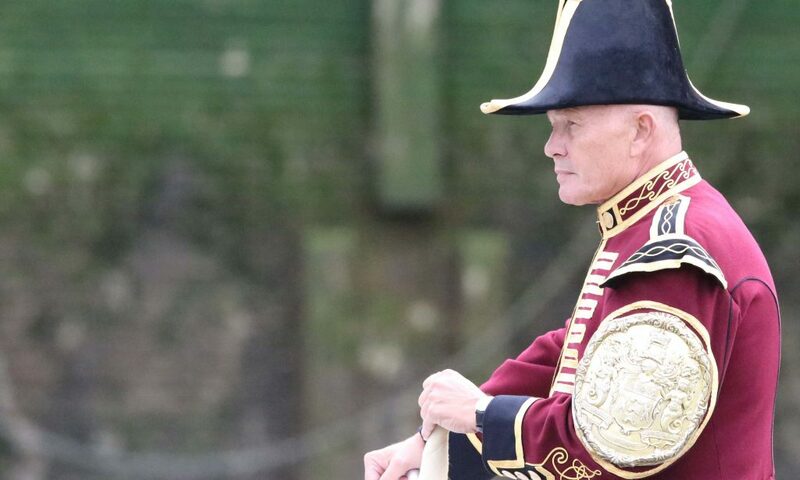 On a warm, sunless day, with flat water conditions, umpire Bobby Prentice, Bargemaster of the Fishmongers Company, got the race under way over the 5 ¼ mile course upstream to Chelsea. As the flag dropped Anderson, on the Surrey station, and McCarthy on Middlesex, were within less than a canvas of each other until the scullers passed under Southwark Bridge, just 400 metres into the race. As the two boats emerged from the shadow of the bridge, Anderson suddenly had a three length lead, and from that point it was always a chasing game for McCarthy. Cheered on by countless supporters from both Watermen’s and Fishmongers’ Companies on the following launches, and by partisan spectators on other boats and both banks, Anderson began to eke out a further lead approaching Lambeth Bridge while McCarthy swung wide in a vain attempt to seek extra help from the tide on his station. Over the finish line at Cadogan Pier Anderson maintained his lead over McCarthy, winning in the fast time of 25 minutes 27 seconds, 21 seconds faster than his opponent, but two minutes outside the course record established by Prentice some forty years ago. “It was harder than I thought it was going to be” admitted Anderson afterwards. The Poplar sculler paid tribute to his coach, German Pradera Anllo, the former Spanish international sculler who is now Head Coach at Fulham Reach Boat Club. “German is a blinding coach, he really helped me with my style which I think is where I won the race” added Anderson. 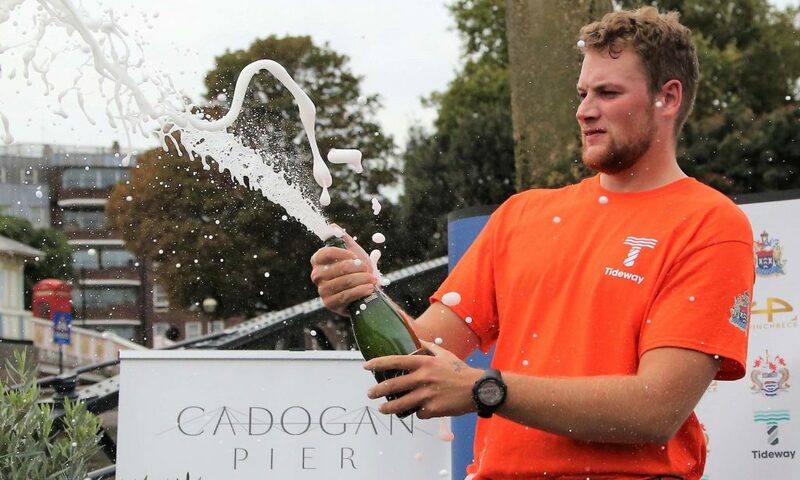 For both scullers it was their third and final attempt at Doggetts, but Anderson’s win meant that McCarthy missed his opportunity to become the fourth Coat and Badge winner in his family. The Wager formed part of a Riverside Exhibition outside Tate Modern and had its own Exhibition in the Guildhall Yard. Oral histories and photographs are being recorded of previous Doggett’s contestants and a film will shortly be produced about the Wager’s history.